O Lord, be my helper! These days have been psalm days. with the cries of the psalmists. that echoes the cry in Psalm 30. It has been my cry as well. 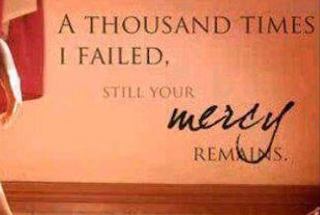 the Lord for His mercy and grace. the cries of our heart. the depths of our soul. In the days of His earthly life, Jesus offered up both [specific] petitions and [urgent] supplications [for that which He needed] with fervent crying and tears to the One who was [always] able to save Him from death, and He was heard because of His reverent submission toward God [His sinlessness and His unfailing determination to do the Father’s will]. Although He was a Son [who had never been disobedient to the Father], He learned [active, special] obedience through what He suffered. And having been made perfect [uniquely equipped and prepared as Savior and retaining His integrity amid opposition], He became the source of eternal salvation [an eternal inheritance] to all those who obey Him, being designated by God as High Priest according to the order of [b]Melchizedek. But in fact, I am filled with power, With the Spirit of the LORD, And with justice and might, To declare to Jacob his transgression And to Israel his sin. And rulers of the house of Israel, Who hate and reject justice And twist everything that is straight, Who build Zion with blood [and extortion and murder] And Jerusalem with violent injustice. “A STONE OF STUMBLING AND A ROCK OF OFFENSE”; for they stumble because they disobey the word [of God], and to this they [who reject Him as Savior] were also appointed. But you are A CHOSEN RACE, A royal PRIESTHOOD, A CONSECRATED NATION, A [special] PEOPLE FOR God’s OWN POSSESSION, so that you may proclaim the excellencies [the wonderful deeds and virtues and perfections] of Him who called you out of darkness into His marvelous light. Once you were NOT A PEOPLE [at all], but now you are GOD’S PEOPLE; once you had NOT RECEIVED MERCY, but now you have RECEIVED MERCY.